Did You Know That You Can Buy ArtRage For Other People? ArtRage makes a great last minute gift, because you can order it online and download it instantly. Or let the recipient download it themselves. 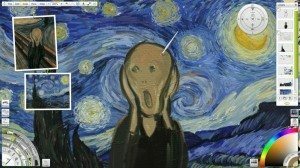 You don’t have to choose between Mac OS and Windows, as ArtRage lets you use both, and works reliably across a wide range of computers. It is suitable for beginners and professionals alike, and is an affordable, powerful substitute for real world paints. There’s no clean up, and it only takes up space on your computer, so it’s a very easy way to experiment with the world of watercolours, or discover the delights of fast drying oils without committing to the expense of all the paints, canvases and brushes. We also have a delightfully helpful forum and friendly, easily contacted, email support. If you, or the person you give ArtRage to, have problems, then we will do our best to help you figure them out. However, gifting ArtRage easily requires a couple of extra steps after paying for the program, so we’ve put together this guide. Who Should I Buy ArtRage For? If you’re already an ArtRage user, then you probably need no incentive to share it with other people. But if you’ve never tried using the program, you might be wondering who its suitable for? Yes, I know, that sounds like an enormous exaggeration, and it is. People without any kind of computer, for example, or those poor souls so utterly traumatised by a kindergarten fingerpainting incident that the sight of a blank canvas and an entire palette of glorious colour sends them screaming from the room. I’m sorry to say that children under the age of six months should almost definitely not be attempting to become world famous impressionists immediately. But almost everyone else should enjoy ArtRage. Why Would ArtRage Be A Good Gift? ArtRage is easy to start with, plays well with other programs and offers space to grow. You can stick with ArtRage from the very first digital stroke to the height of your professional career, use it as a starting point to explore the programs from, or add it into your workflow along with other painting tools. ArtRage is pretty safe as a gift. It will work with most computers out there and doesn’t require a high powered gaming rig to work properly. It works well across Windows and Mac OSX, as well as on tablet PCs that run Windows. The recipient can switch between the different versions whenever they need to, and if they are still using Windows XP, then they can download the earlier version of ArtRage 4. If you’re a professional concept artist (or hoping to be), then ArtRage has proven pretty popular for it’s sketch painting abilities and the way it plays nicely with other software, such as Photoshop. The unique media textures are also difficult to replicate without an awful lot of fiddling in other programs. If you’re purely a traditional artist, ArtRage is the best traditional media program out there for beginners to digital art. You won’t have to learn a bunch of new names, and the paint should act more or less the way it does in real life. If you don’t have the time or skill for messy traditional art, but love the look, then again, ArtRage is fantastic at mimicking that. We’ve got some amazing artists out there who paint in both digital and traditional, and even we can’t tell the difference between their paintings! Kids, technophobes and nice old ladies who just want to trace photos of their grandkids? Perfect! We’re the painting program for people who hate (or can’t yet handle) computer programs. And kids find the tools accessible, the stickers hilarious, and the paint mixing highly entertaining. If they can move a mouse, then they can be introduced to ArtRage. And you won’t need to clean the paint off the cats afterwards! ArtRage is designed to be easy to use and is popular as educational software in many countries. It also has an easy to use tracing feature, metallic paint and some really fun tools like Glitter, Gloop and the Sticker Sprays (though don’t be fooled. These can also become incredibly powerful in the hands of advanced artists). If you’re non-artistic and stressed, then playing with the paint is just really, really relaxing. And there’s no mess afterwards! While we do not currently have a way to gift ArtRage directly (although we’re working on it! ), you can give ArtRage to other people fairly easily. All somebody has to have to use ArtRage is the correct program installation file for their OS and the serial number, although we do recommend actually registering it for them as well. The purchase process is separate from registering ArtRage on our site, so you can purchase it using your details and register it under their name in our member area. Provide them with the serial number and instructions for logging into an account you’ve set up or instructions on how to register themselves (such as a link to this page). They can then download ArtRage at their leisure. Download ArtRage and give it to them physically (e.g. on a USB or CD-ROM) along with the serial number. They should still register it in order to get updates, but this will allow you to give a physical gift, if you wish. You can download both the Mac OSx and Windows versions if you aren’t sure which one they will need (The older Windows XP version is only available from our member’s area). The least exciting, but easiest, option is simply to forward them the purchase email, or use their email address. Be aware that it may go into spam, so you may have to doublecheck whether it worked. Click ‘create account’ and follow the instructions if you haven’t done so before.The email address can be changed after creating the account. It will send you a confirmation email, so you recommend using your own address when you first set it up if it is meant to be a surprise. Log in, then click ‘register’ and enter your serial number. Click ‘save’ and refresh the page. You should now see your serial number listed on the page and you can click ‘download’ to download any of the latest versions (Windows or OS X). Why Register ArtRage For Them? We recommend registering it for them in the member area for a number of reasons. It is very easy to download ArtRage from the member area, and they can download it as many times as they like, which makes installing a new program a lot easier. It also makes it much easier for them if they need help with anything later, as it means they do not need to know the details that it was purchased under. Registering in the member area also allows them to download free updates, save the serial number in case it gets lost, switch between Windows, Mac OS and the older version of ArtRage 4 for Windows XP, and access upgrade discounts to future editions. 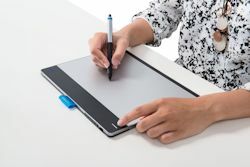 The Wacom Intuos Pen and Touch Medium Tablet is a good entry level tablet that comes with ArtRage Studio. A number of Wacom tablet models come with a free copy of ArtRage Studio or Studio Pro. The exact models can vary between countries and stores, so we recommend that you doublecheck before purchasing. This copy of ArtRage can also be used to upgrade to ArtRage 4.5 at a 50% discount. But if you want to buy them a more professional level tablet that doesn’t happen to include ArtRage as a bundle option, then you can easily purchase ArtRage 4.5 through our site and include it along with the tablet. 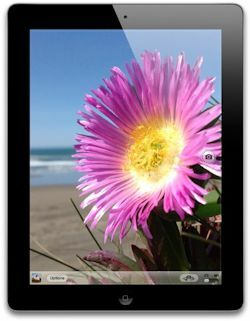 Did you know that ArtRage also comes as US$4.99 iPad and Android apps, and a US$1.99 iPhone app? Each app can stand alone, or work with the desktop version to finish field sketches on the computer. We aren’t involved directly with purchases made on iTunes, GALAXY Apps or the Google Play Store, however, these sites should all have options to send gift cards. The App stores are run by other companies, and Ambient Design has no control over the purchase process. If you have problems purchasing Gift cards, or gifting the app, it is best to contact the store for assistance first. The Android app will not be available in the Google Play Store for Christmas, but it will be available in early 2015.
iTunes gifts can only be sent within the same country. You cannot buy the app for someone overseas through iTunes. If you’re shopping for devices at the same time, or want to make sure that ArtRage will be compatible with what they already have, then check out our guides. What are the different ArtRage editions?